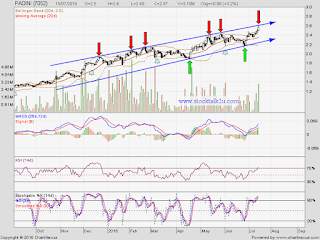 PADINI retest uptrend resistance level. Will it break the resistance level? Stochastic %K already at overbought stage. Immediate resistance @ uptrend resistance level. 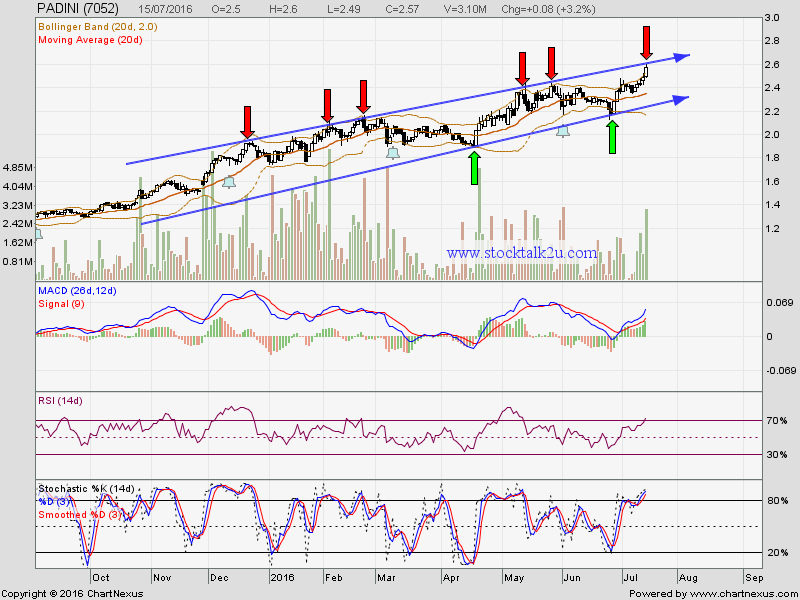 Immediate support @ RM2.45 level. Subsequent support @ RM2.36 level.